A veteran in the Indian M&E industry, he commenced his career as an Associate Director and Controller of Production with the well-known director Ashit Sen, with whom he made several films, including Khamoshi, Safar and Anokhi Raat before ventured into producing films on his own. His biggest hit was the Amitabh Bachchan starrer Shahenshah. 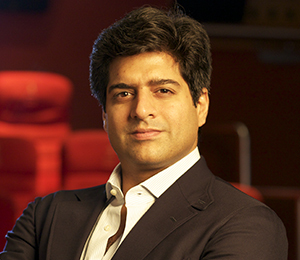 Naresh realized early the potential boom in the Indian television industry. He set up India’s first digital audio studio in the 90s and also started providing equipment rental services to TV and ad film makers. 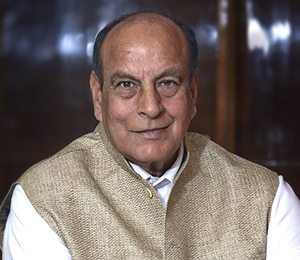 Naresh was Chairman of the Board from 1997 to June 2014. 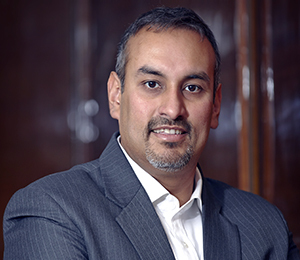 As the founder of Prime Focus, Namit has been responsible for the strategy, growth and success of Prime Focus from its modest beginnings in Mumbai in 1997 to its current position as the world’s largest independent and integrated media services powerhouse. Namit’s perpetual optimism and entrepreneurial spirit is written throughout the Prime Focus identity. 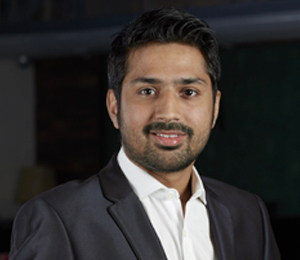 Actively seeking out projects that will expand the strengths of the company, and challenge its team to push themselves to the next level, Namit is devoted to nurturing talent and ambition, and to delivering his clients world-class creative and technical services, and intelligent financial solutions. Namit is the poster boy of Indian entrepreneurship in Hollywood. In a career spanning over two decades Merzin has led and inspired global teams on multiple projects, and mentored the careers and lives of countless artists, professionals and producers. Merzin leads the creative services function and his many responsibilities span business development, customer relations, creative strategy, delivery planning, talent management, technology acquisition and financial oversight. As Chief Creative Director he oversees planning and delivery of shows for content markets including Hollywood and Bollywood. As Co-founder, Merzin champions creative collaboration, technology leverage and talent optimization through a sustainable global digital pipeline, one of our biggest trump cards in the industry. Merzin’s ability to manipulate technology platforms and passion to build new services have been the backbone of our expansion strategy. 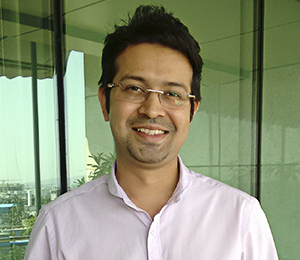 Prakash is one of the most popular editors today in advertising. A comic illustrator at heart with a number of published illustrated books to his credit, Prakash worked as a 2D animation instructor prior to co-founding Prime Focus. 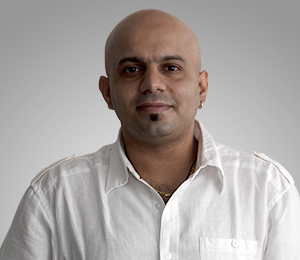 He heads the creative function for our Advertising division in India and also directs broadcast packaging and design. 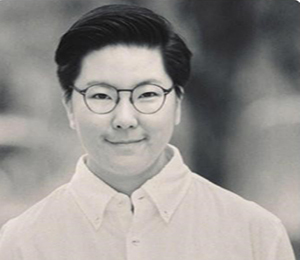 Projects he has worked on have won numerous awards such as Cannes Lions, Ad Fest Asia Pacific, Promax and Adclub. Some of his personal achievements include 3 Abbies, Smoke Artist Of The Year and the Golden Cursor Animation Award (Best Animation-Live Action combo). Huzefa has worked with just about every advertising agency and advertising film maker in India. He has edited 3 feature films including the cult classic Delhi Belly that won him the Screen and Filmfare Awards for best editing in 2012. Other major credits include 7 Abby Awards, an entry in the D & AD Book of Awards and an Asia Image Apollo Award. Huzefa has been part of acclaimed projects at the Green Oscars, London International Awards, Cannes, Spikes Asia, New York and Berlin Film Festivals.Huzefa has conceived and directed VFX, packaging and title sequences for a number of feature films. As guest lecturer at the prestigious Film & Television Training Institute of India, Huzefa conducts workshops for aspiring editors and finishing artists. Nishant Fadia is the Chief Financial Officer for Prime Focus Limited and the face of Prime Focus for the financial community. He has been with Prime Focus since 2000, and was the company’s first CFO, taking the company public in 2006. In 2014 he took up the role of Group Chief Operating Officer, to identify new expansion opportunities and drive overall operational efficiencies for the quickly expanding Prime Focus group, before returning to the position of CFO of the parent company, Prime Focus Limited. His role includes crafting the strategy and direction of the group to enhance value for all stakeholders. 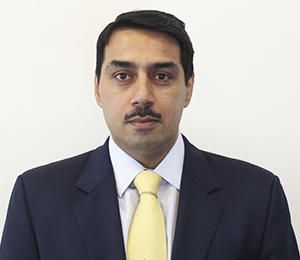 Vikas has over 17 years in Corporate Finance, TMT (Telecom, Media and Technology) Investment Banking, Capital Markets and M&A across US, Europe and Asia. Before this, Vikas was Head - Corporate Finance and M&A at Suzlon Energy, Principal - TMT Investment Banking at Bank of America Merrill Lynch and Executive Director - TMT Investment Banking at ABN AMRO. 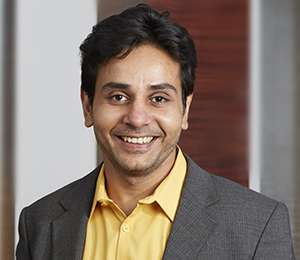 Vikas is a CFA, an MBA in Finance from the R.H. Smith School of Business, University of Maryland and an Engineering graduate from Delhi Institute of Technology, Delhi University. Niraj is the face of Prime Focus in Bollywood. Since joining in 2007, Niraj has been instrumental in growing Prime Focus’ creative services business facing Bollywood and the advertising industry, as well as the equipment rental business. Having started at Prime Focus as Head of Procurement and Operations, Niraj quickly worked his way up to head the equipment rental business addressing Bollywood and the South Indian film market. 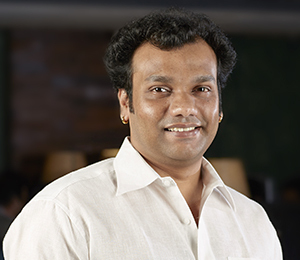 Success in this area led to him being entrusted with greater responsibility of managing the Films and Commercials business of Prime Focus in Hyderabad and Chennai. Niraj also played a key role in setting up Prime Focus' state-of-the-art studios at Royal Palms in Mumbai. Ashirwad comes with over a decade of experience as a Colorist and has graded over 150 films in the lab as an Analyzer Colorist and over 80 films as a DI Colorist. Some of his biggest Bollywood projects include Murder 2, No One Killed Jessica, F.A.L.T.U, Parineeta, Chameli, Taare Zameen Par, Jab we Met, Rab ne Banadi Jodi, Kanchivaram, Blue and Love Aaj Kal. He has also worked on many short films for the Film and Television Institute of India, including highly acclaimed projects like Chaabiwali Pocket watch which won the Kodak Asia-Pacific Award for Best Short Film & Cinematography and Girini which won the National Award for Best Cinematography. Prior to joining Prime Focus, Ashirwad was working with Adlabs Films Ltd. He holds a Bachelor of Science Degree and a post-graduate diploma in Computer Technology. Being a qualified computer engineer, Sameer Pandit was always interested to be part of the Media & Entertainment industry. 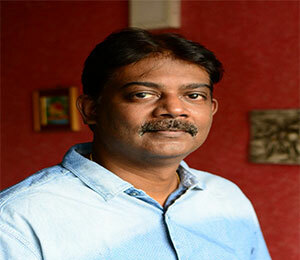 He has a total experience of more than 22 years working with top post production studios in Mumbai. He started his career with Crest Communication in 1995 soon after his engineering as an Online Editor and VFX supervisor. 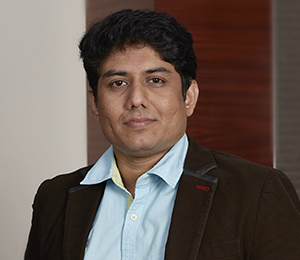 After working for more than 10 years, Sameer moved to Pixion in 2006 and later joined Prasad labs in 2012. Before joining Prime Focus in 2016 as a Senior Colorist, Sameer was freelancing on various projects for brands and feature films. Sameer specializes in Long and short format digital intermediate, commercials, music videos, movie trailers, songs, movie promos. He also has firsthand knowledge and experience with working on FilmLight, Baselight, Blackmagic Design, DaVinci Resolve, Autodesk Lustre, Assimilate SCRATCH, Quantel iQ, DaVinci 2K Plus & 2K, Apple Color, Thomson Spirit 4K. 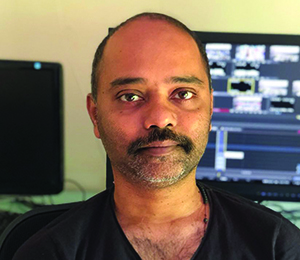 S Manoj’s career as a colorist started with the first Digital Intermediate (DI) project in India for Harry Baweja’sQayamatin 2003 at Prime Focus. Following this were a series of blockbusters like Shaitan, Tees Mar Khan, Guru, Om Shanti Om, Chak de India, Jodha Akbar and Black, to name but a few. In his capacity as a Colorist, he has been a part of over 100 optical and DI for over 75 feature films. With over 18 years of experience and having worked with the top cinematographers and filmmakers, today S Manoj is one of the most sought after colorists in India. S Manoj has also worked as an editor in the past wherein he has successfully delivered numerous TV soaps, ad films and music videos. Rodney is an extremely talented and experienced Senior Creative with our advertising post team. However, what many don’t know is that he once ran his own restaurant and would’ve potentially been a flight attendant if it wasn’t for a friend introducing him to the world of post-production. 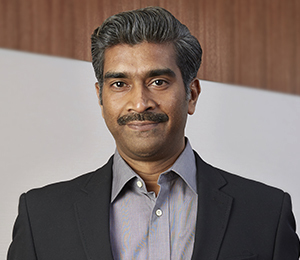 A favorite amongst some of India’s largest advertising agencies, Rodney has been responsible for the successful completion of a number of significant campaigns. His credits include commercials for Coca Cola, Pepsi, Dove, Fair & Lovely, Ponds, Cadbury, Hyundai, and Bajaj Pulsar among several others. 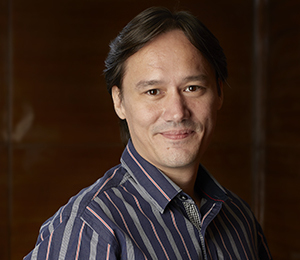 Rodney has also contributed to many notable projects which have won awards such as Abby, Cannes and Ad Fest Asia Pacific. Starting his career at Prime Focus, Rodney is a powerhouse of talent, creativity and dedication, and has great team relations, excellent management and communication skills and over 15 years of experience behind him. Sumanth started his career two decades ago in the post-production industry with Western Outdoor as an online artist. Having worked for more than 8 years with Western Outdoor with all the leading ad film directors, he decided to move on to join Pixion Studio as a Senior Quantel Artist. He was instrumental in delivering high-end compositing projects and also managed to win a Cannes – Silver. He later moved on to join Prime Focus and served many top production houses like Equinox, QED, Breathless, 120 Media Collective and many more. His major brands include Volkswagen, Titan, Cadbury, Airtel and Nestle. Before starting his career he was a passionate photographer which led him to this industry. Not wanting to get involved in his family’s business enterprise, Harmeet aka ‘Sunny’ began ‘hanging out’ at the Prime Focus office, and soon grew to become a professional Colorist. Since then, Sunny has graded over 300 ad films, numerous music videos and over 75 movies including Bollywood blockbusters Partner, Chalo Dilli, Patiala House, Race, Mangal Pandey: The Rising, Chandni Chowk to China, Bachna-ae-Haseeno, Musafir and Salaam-e-Ishq. He also holds the distinction of being one of the first artists in India to have graded a feature film on the Lustre® color grading software. Sunny has worked on a diverse range of commercials for brands such as Sony, Cadbury, Coca Cola, Maggi, Airtel, Ford, Lux, Fair and Lovely, Sunsilk, LG, Nestle, Kellogg’s, HP, Maruti, Electrolux, Maruti Suzuki and Nescafe to name a few. Xavier started his career with Prime Focus as an Editor in 2003. After working on TV commercials and music videos, he soon moved on to title sequences and digital film packaging for big banner film projects like Bhoolbhulaya, Golmaal, Welcome, De Dana Dan, Quick Gun Murugun and Shakti, to name a few. In his capacity as an editor, he has also worked on various movie trailers for films including Pyaarke Side Effects, Race and Babul. In 2008, he progressed to grading full length feature films. Apart from Bollywood movies like My Name is Anthony Gonsalves and Ektho Chance, he also had the opportunity to work on various regional films like Jalsa (Telugu), John Apparao (Telugu) and Mansare(Kannada). 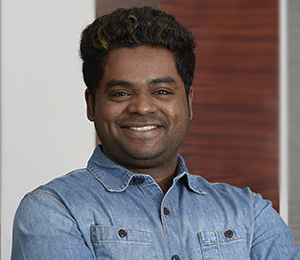 Xavier holds a Diploma in Hardware Engineering from the Government Institute of Polytechnic and has completed a photography course from St. Xavier’s Institute, Mumbai. 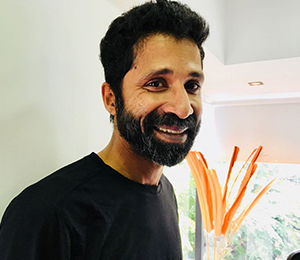 Swift and a thorough perfectionist, Ravi is one of the first names that come to mind when the requirement of the client is to make a stylish VFX-heavy commercial. Over the years, Ravi has built for himself an enviable portfolio and worked on commercials for brands such as Olay, Boost, Killer, Dominos, Sony Ericson, Nestle, Samsung, HP, Coca Cola, Lenovo, HTC, Citibank, Honda and HCL to name a few. Boasting the perfect marriage of experience and can-do-attitude, Ravi is a favourite amongst most of India’s leading advertising agencies and production houses including Saatchi & Saatchi, JWT, Ogilvy, Contract, McCann Erikcson, Grey, Publicis and Draft Ulka. Ravi has also worked with numerous prominent directors including Sabal Sheikhwat, Bharatbala, Arun Gopalan, Nicholas Sawyer, Ben Hartenstien, Ravi Udyawar and Jeff Balsmeyer. An abundance of creativity and enthusiasm, the introverted Vivian started his career as an animator and compositor, moving on to becoming one of the best Online Artists in the industry, best known for churning out widely appreciated work in record time. A black belt in Shorin Ryu Karate, Vivian has worked on commercials for brand such as Adidas, MTV, Edelweiss, Fevicol, Nokia, Reliance, Toyota, Garnier, Lux, Sunsilk and Hindustan Times, as well as title sequences for movies including Tasveer 8x11, Kurbaan, Guzaarish, Saawariya, Ghajini, Omkara and Lage Raho Munna Bhai. Extremely inquisitive about technology, Vivian is always eager to try different things and has over 500 commercials as well various title sequences and music videos to his credit. Augustine started his career in 2000 as a 3D artist and compositor at Graphtec and later joined Famous studios as an Online Artist. He later moved to Pixion in 2002 and worked in Pixion for more than 13 years, winning an award for the Best Flame Artist of the year by Autodesk India. 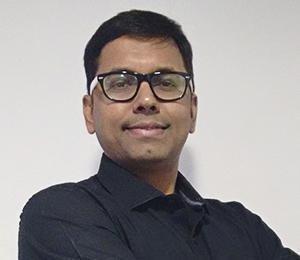 He joined Prime Focus in 2018 as a Sr Online Artist with an experience of more than a decade in the industry, Augi is known to work on most of the FMCG brands from HUL & P&G. Production houses like Code Red Films, Red Ice Films, Good Morning Films, Nirvana & Hot Films preferred Augi for all online work on their FMCG Projects. Augustine is called by the nickname of Augi by the people in the Advertising industry. 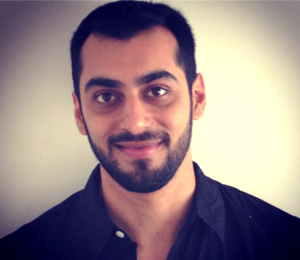 Rahil was initially an editor/compositor but soon found that his passion was grading. His strength lies in his patience and perseverance to achieve something big along with his creativity, which can be seen in the numerous (over 500) ad films that he has graded over the last 10 years. 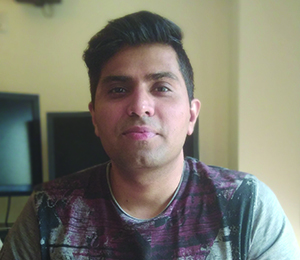 Jiten after completing his editing course from Digital Academy in 2005 started his career in the post-production industry with Shemaroo entertainment as a Photoshop and FCP artist. He joined Pixion in 2006 as an FCP artist and later on, He learned Smoke (online) and worked as an offline and online artist. After working with Pixion for 10 years, Jiten joined Prime Focus limited as an online artist in 2016. 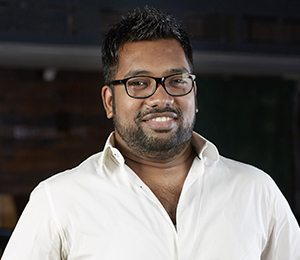 Jiten has worked on brands like IPL, Nivea, Airtel, Myntra, Datsun, Google maps and Vivo recently. Jiten is now a Senior Online artist at Prime focus and also expertise’s in color grading for few projects on the base light system. Intrigued by the world of post-production Harsh was quickly drawn in and today is a dynamic Editor and Online Artist. A party animal, Harsh has over the years worked on numerous advertising campaigns for notable brands and clients such as Red Ice, RSF, Filmfarm Films, Working I Films, Ramesh Deo Productions, Footcandles Films, Tubelight Films and Equinox Films. Harsh’s strengths lie in his keen interest in editing and drive to learn which allows him to do better work and grow with each passing day. Besides spending time on the edit table, Harsh loves travelling, is a motorcycle enthusiast and could kill for a KFC Zinger Burger. An ex-DJ, Rutvik loves listening to music and is an avid partygoer. He has more than 8 years of diverse post-production experience and is an Editor and Online Artist. 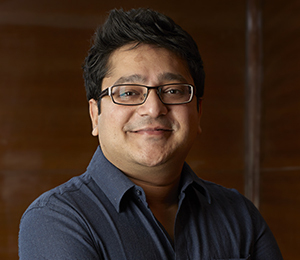 Over the years, Rutvik has worked with prominent directors on commercials for Sony Ericsson, Lakme, Nokia, Pepsi, Dove, Coca Cola, Olay, Boost, Nikon, Marcoman, Hyundai, ICICI Bank, Honda, Maruti, JP Cement andMaruti Suzuki to name a few. In addition, he was also involved in delivering the aerostat visuals for the extravagantly organized opening and closing ceremonies of the 2010 Commonwealth Games. He has also edited various promos and music videos for films including Dharma Productions’ Wake Up Sid, My Name is Khan, We Are Family and JP Films’ UmraoJaan. Rutvik’s drive and dedication come from a genuine passion for his work and the industry. 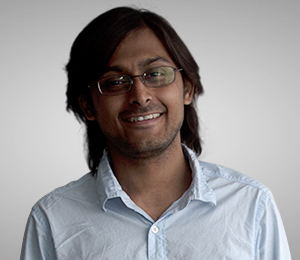 Initially a commerce graduate, Ankit steered towards Editing as a more satisfying option. Also a fitness freak, Ankit has worked on the Aerostat visuals for the Commonwealth Games 2010, and was responsible for the tedious task of editing the awe-inspiring DLF IPL series in real time. He also created packages including 'Super 4s', 'Super 6s', 'Fall of Wickets', 'Post-match Presentation' and 'Press Conferences' for the series for multi-platform distribution – Mobile, TV, the BCCI online channel and YouTube. Ankit has also worked on numerous commercials for various brands including Panasonic, Oreo, Park Avenue, Layer’r Shot Deodorant, Toyota, Honda, Maruti, Coca Cola, Hotstar, IPL, Ballantine’s and many more. He has also worked on the most talked about Indian TV series 24. 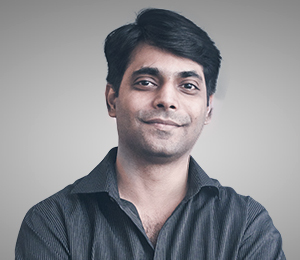 While maintaining a strict, no nonsense demeanor, Ankit uses encouragement and positivity as his core techniques. 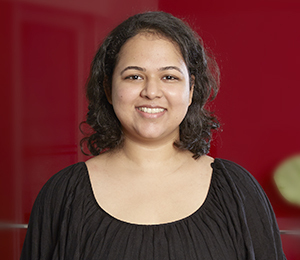 Renuka started her career in Prime Focus as a trainee in the advertising division. She soon moved up the ladder and today is an online artist. Renuka has worked with some of the biggest advertising production houses like Ramesh Deo Production, Rising Sun Films Production, MAD Studios, Storyteller Productions and Early Man Films to name a few. She has worked on commercials for brands like Birla Sun Life Insurance, Tanshiq, Olx.com, Docomo and iBall among many others. In addition, she was actively involved in Anil Kapoor’s TV series 24 (Season 1) and award winning commercial Mumbai Mirror. Renuka has worked on couple of title sequences and promos for films like Kick, Cocktail, Lekar Hum Deewana Dil, Finding Fanny and Madras Café. Renuka holds a Master in Digital Compositing and VFX degree from University of Westminster (London) and excels in software like Smoke and Nuke. 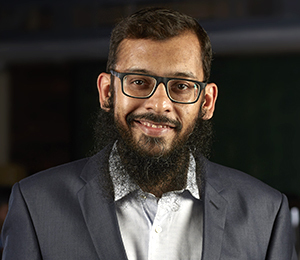 Although Mayur started his career in the Transfer Room at Prime Focus where he learnt the technicalities of the work pipeline, he really found his feet when he began his grading career. Mayur has been involved in editing various commercials, before he patiently made his way up and switched to Telecine. Soft-spoken and hardworking, Mayur has graded numerous commercials for major production houses including Dungarpur, Apocalypso, Red Ice, Rising Sun and Filmfarm Films. In addition, Mayur has worked on over 100 Feature Films for TV for channels such as Zee TV, Sony, Eros, Moser Baer, Star Plus for production houses like Yashraj Films, Dharma Productions, Sohail Khan Productions, Ram Gopal Varma Films and K Sera Sera. Curious and persevering, Mayur hates sitting idle and will always be found working at the studio. 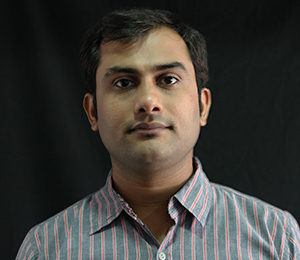 A highly talented camera and broadcast administrator, Gowrishankar joined Prime Focus in 2010. He comes with over 25 years of extensive experience in system integration, maintaining, configuring and technically supporting all motion picture cameras and television broadcast. Gowrishankar oversees the camera department, maintains equipment, remediation of equipment failures and installs new equipment including Broadcast. Additionally, he assists in the planning, repairing and monitoring of operational and engineering budgets, and is responsible for recruiting, training and monitoring of the staff. 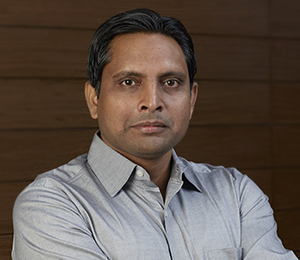 Prior to joining Prime Focus, Gowrishankar worked as a Senior Manager in Ramoji Film City, Eenadu Television where he was instrumental in designing and developing their camera department and live studio.Gowrishankar holds a graduate degree in Physics from Madras University and has a certificate in Automobile Engineering. Nirmal manages a team of technicians and line producers and has been instrumental in creating and streamlining processes and services thereby ensuring a seamless delivery pipeline. He has been associated with many prestigious projects including Happy New Year, Bang Bang, Kick, Dhoom 3, Cocktail, Buddha HogaTera Baap, Shaitan, Guzaarish, Sawariya, Wake up Sid, Chandni Chowk to China, Ghajini and Om Shanti Om. With a rich experience of 17 years, Nirmal joined Prime Focus way back in 2003 as a Data Management Executive. His perseverance, sincerity, dedication and hard work have ensured a persistent upward curve in his professional career. Bhaarath Sundar is the Chief Business Development Officer for the Advertising Services division of Prime Focus in India. Calling on his 29 years of experience in post-production and people management, Bhaarath has revitalized the Advertising Services division by attracting some of the best creative talent in the business and launching a third specialized facility. Bhaarath leads the Advertising Services offering which operates across three integrated sites in Mumbai, offering online editing and grading, a dedicated CG / VFX and animation team and a brand new dedicated offline editing studio. He has also set up an international animation outsourcing division alongside the 9xm animation division. With many years of experience in post-production, Bhaarath has previously worked with UTV, United Studios (Division of UTV), Famous Studios, and Teamwork Studios, where he was most recently Group CEO & Managing Partner. Arjun’s brush with the Media and Entertainment industry began with Prime Focus as an Operations Manager in the Digital Intermediate (DI) department where he was solely responsible for project delivery management. He spent three years building Prime Focus’ industry standing in DI after which, he moved on to a new role in the equipment rental business where he worked under the guidance of Naresh Malhotra. With his passion, dedication and strategic thinking, Arjun played a crucial role in the growth of the company’s equipment rental business, which is now the market leader in this category. Arjun is responsible for the entire equipment rental business for the broadcast industry at Prime Focus. He has worked with all leading broadcasters in India and is the go-to-man for organizers of marquee events like Filmfare, Screen, Star Guild, Box Office India, IIFA, GILMA and Mirchi Awards to name a few. 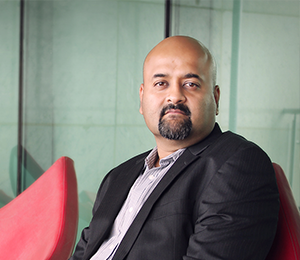 At Prime Focus, Bhaskar drives creative excellence in the production of short & long form content. In this role he also works closely with the Software and Product Development teams at Prime Focus Technologies to help innovate and conceptualize new products and services for cloud-led production services. 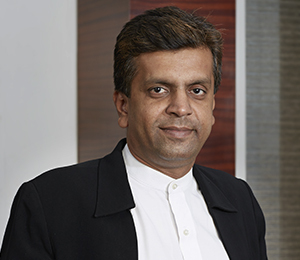 Previously, Bhaskar was with Miditech, one of India’s largest television production companies as Vice President – Programming and Production. 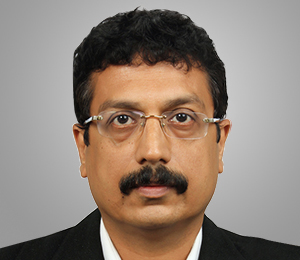 During his 12 year tenure at Miditech, Bhaskar was responsible for developing new business and strategic relationships as well as management of operations and commercials across locations. Bhaskar was also involved in the creation and development of numerous television content formats for both Indian and international broadcasters. Bhaskar holds a Bachelor’s Degree in Commerce and a Post Graduate Diploma in Journalism and Communication. 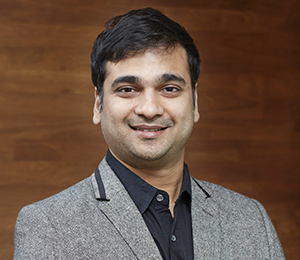 Eklavya joined Prime Focus in 2009 as Sales Manager, Equipment Rental business focused on the Advertising industry, after which he also led sales targeting the Film industry. In addition, Eklavya started selling VFX, DI and Sound services to the Film market. 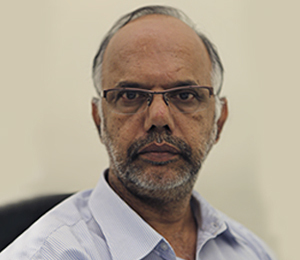 During his time at Prime Focus, Eklavya has worked with major production houses including D2R Films, Sundial Pictures, K Sera Sera, Ektanand Productions, Tonga Talkies and Jar Entertainment, as well as notable Bollywood directors like Girish Malik, Rakesh Mehta, Ashwini Chaudhary, Raj DK, Ananth Mahadevan, Makrand Desh pandey and Ritesh Sinha to name a few. Prior to joining Prime Focus, Eklavya has been associated with Zee TV and CNBC. Eklavya holds a Bachelor of Commerce degree from MMK College of Commerce and Economics as well as a degree in Software Engineering from Mumbai Educational Trust (MET), Mumbai. Nirala looks after the overall business development and sales activities of the Broadcast post division. He has worked on reality shows like Master Chef, Satyamev Jayate, Dance India Dance, Comedy Nights with Kapil, MTV Roadies and Sa Re Ga Ma Pa L'il Champs as well as award shows like IFFA Awards and Zima Awards. Nirala frequently interacts with some of the biggest names in the broadcast industry like Balaji Telefilms, UFO, Apocalypso Filmwork, Colosceum, FremantleMedia, BBC Films, Wizcraft, AKPL, Endemol and SOL Productions. Prior to joining Prime Focus, Nirala was associated with companies like Digital Planet, Kay Communication and ARNS Media. Nirala holds an Engineering degree from Mumbai University. 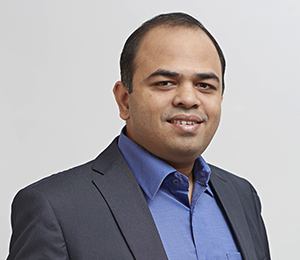 At Prime Focus, Pranav drives ideation and innovation in Content Creation for both broadcasters and digital content owners. He works closely with Prime Focus Technologies’ (PFT) software engineering teams to help develop new technologies to drive creative enablement and content monetization. Pranav has been instrumental in evangelizing Grading of daily soaps – a first for the Indian Broadcast Industry. Pranav is a hands-on operations manager and swears by the maxim ‘God is in the detail’. At Prime Focus, he successfully set up a pan India 200 member strong team for delivering On Air Promotions content for major Indian broadcasters. In the past, Pranav has also managed logistics for PFT’s presence and initiatives at major international media and technology markets like the NAB Show and IBC. Before being smitten by media and technology, Pranav dabbled in the Event Management and Hospitality sectors as an entrepreneur where he drove new business and strategic relationships. Pranav is an Intermediate level Chartered Accountant and holds a Bachelor’s Degree in Commerce.